Dip are still a good thing for your chips. Plain chips with no dips are just plain. Take your favorite late night indulgence to the next level. Get the cheesy recipe here. What’s creamy on the inside and carby on the outside? Answer: this unreal dip. Add a little je ne sais quoi to your party. Learn how here. The spices and flavors in this creation will drive you absolutely loco. Get the details here. Who ever said that you can’t have dip for dessert? Prove the haters wrong with this recipe. You won’t be able to wait to take the plunge into this culinary masterpiece. Try it out here. Kiss the boring old chickpea goodbye, and say hello to the black bean. Check out this life-changing hummus recipe. It’s actually really easy being green. Let this dip recipe show you how. With this healthy dip recipe, you no longer have to sacrifice your beach bod when you party snack. This hummus is a lil’ sweet, a lil’ spicy and a whole lot satisfying. With this simple recipe, you can easily get your dip on for breakfast too. Holy smokes. Get the show-stopping recipe here. 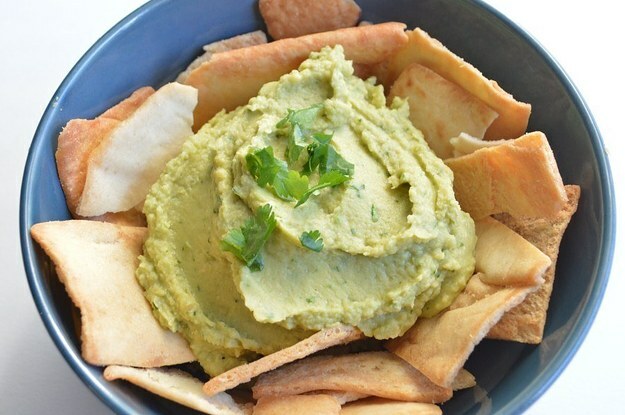 Your lonely bag of pita chips has been waiting its whole life for this hummus recipe to come around. There’s no such thing as too much cheese. Add a little more to your life with this recipe. Add just the right amount of class to your next party. Get the recipe here. You really won’t mind if this salsa gets a little fresh with you. Recipe here. This recipe will never fail to guac your world. If you’re looking to add a little burst of color to your plate, this hummus will definitely do the trick. This dip is everything we love about American-Italian cuisine, in ONE DISH. Get it here. Skip the fancy restaurant dessert and snuggle on the couch with this homemade fondue dip instead. Keep up with all the latest food trends with this creamy, spicy dip recipe. You probably won’t want to make this before a date. So ditch the date and stay home with this dip instead. This lovechild of guac and hummus is the Cronut of dips. Except you won’t even have to wait in line for it, so it’s better. Oh you fancy, huh? Then this versatile pesto dip is your match made in food heaven. This tangy guac will have you pining for those warm summer days. We’ve finally found the ultimate comfort food. This mind-blowing cheesy masterpiece will never fail to melt your heart. With this recipe, you no longer have to fight off the other party guests for a chance at the dip bowl. If you thought pesto had done it all, this dip opens up a whole new world of possibilities. Get the deets here. Deciding what to pair your baby carrots with can be extremely stressful. So let this creamy hummus recipe make the decision for you. This post was compiled by Tarika Narain at Spoon University. For more, like Spoon University on Facebook and pin with them on Pinterest.